A Sleaford GP has revealed his practice may become the centre of a ‘primary care hub’ for patients in the Sleaford area. 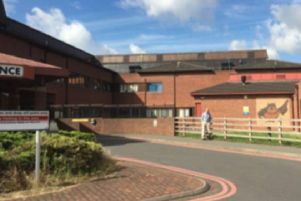 The Lincolnshire Sustainability and Transformation Partnership, made up of various healthcare organisations in the county, has been developing a way to cater for a growing population with stretched resources while trying to improve outcomes, involving reducing hospital stays and treating more people in the community. This has looked at hospital sites and their future sustainability, mental health care, GP care, and help for people coming out of hospital. The Healthy Conversations listening exercise has been launched with various events this year to seek people’s opinions on what shape this transformation should take. Part of the proposals for the transformation sets out ambitions for a primary care hub for GP services, community nurses and health visitors, as well as social and mental health teams under one roof for a more joined-up service. Dr Kesavapillai Vijayan, senior partner at Millview Medical Centre in Sleaford, says he has been approached by Clinical Commissing Group officials to consider becoming the heart of a Sleaford care hub. Dr Vijayan said the preferred location for this hub would be the site of the recently vacated county council offices on Eastgate. Council staff have mainly moved to the nearby joint fire and ambulance station. Katie Gosling, the council’s Property Strategy Service Manager, said: “The buildings on Eastgate were previously used by the council as office space, and we have retained a small area for our use.